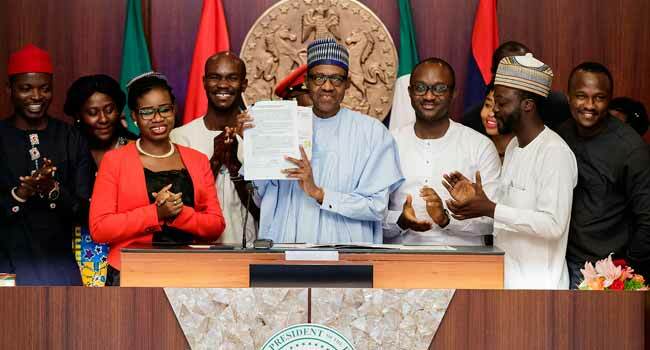 President Muhammadu Buhari has signed the ‘Not Too Young To Run’ Bill into law. 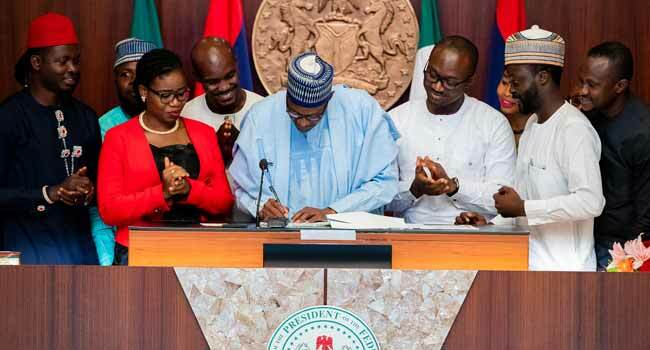 History was made on Thursday when President Buhari assented to the bill at the Council Chambers of the Presidential Villa in Abuja, the nation’s capital. The Personal Assistant to the President on New Media, Bashir Ahmad, posted two videos on Twitter which shows President Buhari signing the bill into law. 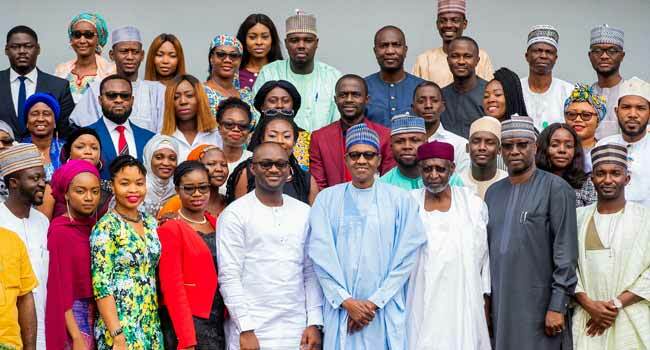 Addressing a gathering of youths who witnessed the signing, the President said, “Your focus and contributions have now successfully increased the quality and maturity of Nigerian democracy and expanded the playing field for youth participation in politics. President Buhari had promised to assent to the bill while addressing the nation on Tuesday in a live broadcast in Abuja. “In (a) few days to come, I will be joined by many promising young Nigerians to sign into law the ‘Not Too Young To Run’ bill,” he had said in his Democracy Day’s speech. Both Senate and the House of Representatives had passed the bill in 2017. It later received the constitutionally required approval of two-thirds of National Assembly, leaving the final step of presidential assent. With the President’s assent, the age limit for presidential candidates has dropped to 35 from 40, while the minimum age for national and state assembly members will now be 25. The primary aim of the law is to increase the participation of young people in politics, as more than half of the nation’s population is below age 30.